HTC Desire 510 got unveiled and HTC claims it to be the inexpensive LTE device in the market, but they didn’t exactly reveal its price. The device is targeted at those customers who want to experience the LTE but not having enough money to choose pricey handsets for that. The phone is claimed to give an exceptional multimedia experience with its large screen and all. What makes it a multimedia device is its LTE connectivity and Snapdragon 410 Processor, which let you stream videos without buffering, offer faster download speeds, smooth gaming and browser experience. There is 8 GB of internal storage for your apps as well. The large 4.7 inch screen completes its multimedia experience. There are no HTC devices without Blinkfeed these days, we have seen this in HTC One M8, HTC Butterfly 2 etc., and Blinkfeed will give a cumulative view of all your Updates and feeds from different social networks. The polycarbonate body is impressive and will be comfortable to use as well. HTC provides the Dot View Case in this one too. There is option to customize the device with preloaded Themes or by creating matrix wallpaper from your gallery images. Choose either Terra White or Meridian Grey as body color, sadly these are the only color options you got. The Software part in this device fells premium with Android Kitkat and latest HTC Sense UI. Don’t expect its specification to be like their flagships, it’s not all disappoint either. The device is powered by 1.2 GHz Quad core Qualcomm Snapdragon 410 CPU. 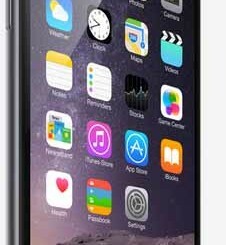 There is a decent 1 GB of RAM and 8 GB of ROM, there is scope for expansion up to 128 GB via micro SD slot. 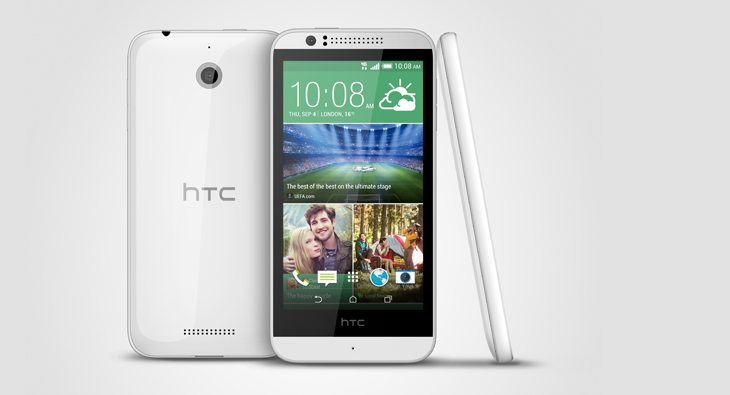 It runs on Android 4.4 Kitkat with HTC Sense on top and there is HTC Blinkfeed too. The camera is an average 5MP at the rear and a VGA at the front. It supports networks ranging from 2 to 4G and connectivity options like Bluetooth 4.0, Wi-Fi, DLNA, HTC connect and microUSB 2.0 is also there. There is ambient light sensor, proximity sensor and accelerometer, just like any other smartphones available these days. As there is Internal GPS antenna and GLONASS chances of you getting lost is rare. The 2100 mAh Li-polymer battery is said to give 17.17 hours of talk time and 646 hours of standby in 3G networks. There are no words about its availability and pricing for now.